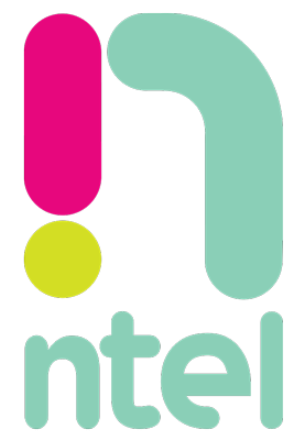 For those meeting Ntel Network for the first time, the network was launched in Nigeria as at last year 2016. And their first office was located at Abuja, followed by Ikeja in Lagos, Port Harcourt (PH), before others. During their first launch in Nigeria, they made sure to provide their customers with Strong 4G coverage in the area they first mounted their service. The first thing they tried to achieve then was to introduce an Ntel router, Ntel SIM, providing users the data plans and as well APN settings/configurations, which will enable them, browse/surf the internet, as well as making calls and so on. Having taken note of that, let’s proceed to the reason why you clicked to read this post. Ntel as was said started their major operation in Nigeria as of last year, and during then, they came up with unlimited data plans which were serving as a data test promo for their customers, and was meant to last within the period of 3 months before it can be stopped. Ntel after making their announcement based on when the data test promo plans will be stopped, couldn’t stop it again, as they allowed the data to be running even after the stipulated time it supposed to stop. They also introduced cheaper capped data plans and another data - voice plan combo aside the unlimited data plan they recently launched then. Now this year 2017, making them one year of operation in Nigeria, Ntel has released new tariffs for its smartphone unlimited data plans. Although, the prices has increased a little from what it was before. Below comes the New and old Ntel tariff unlimited data plans and their prices. Newly Introduced Ntel Smartphone Unlimited Tariffs. => Ntel Smartphone Unilimited Lite: up from N1,000 to N1,500 weekly. The validity is 2 days. => Ntel Smartphone Unlimited Weekly: up from N3,000 to N3,750. The validity is 7days. => Ntel Smartphone Unlimited Monthly: up from N10,000 to N12,500. The validity is 30 days. ==> Download The Latest Ntel VOLTE App For Making Of Calls And Sending SMS Over LTE. Note: All the data plans listed above are unlimited, so when your data usage gets to the daily stipulated limit, your internet speed will be throttled. That’s all. Now tell us what you think about this newly introduced Ntel data plans, whether the new development is a step in a right direction. You can do that via below comment box, and don’t forget to share with below buttons too. Thank you.